To many unassuming customers, auto boy shops and auto body repair shops may sound like the exact same thing. They both repair damaged cars, don’t they? Well yes, just like all surgeons repair your body, both auto body repair shops and auto repair shops repair your car. But you wouldn’t want a brain surgeon operating on your heart, would you? In the same vein, you don’t want just any mechanic touching the body of your beloved car. The trouble is that most people don’t think about this distinction after a collision. So they often end up taking their car with severe body damage to a mechanic or an auto repair shop. This isn’t a good idea. So that you don’t make that mistake in the future, here are the differences between an auto repair shop and an auto body repair shop. What does an auto repair shop do? 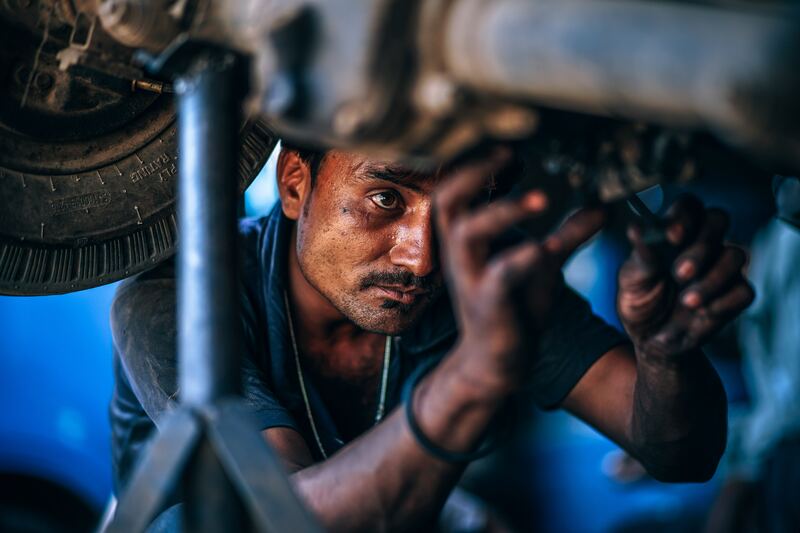 Believe it or not, auto repair shops, or mechanics, aren’t qualified to repair every part of your car. They are only really qualified to assess the inner workings of your car, things like the engine, the brakes, the wheels and axels, etc. If your car doesn’t have any exterior damage after an accident, or if an engine warning light has just appeared, a mechanic or an auto repair center is the way to go. What does an auto body repair shop do then? If your car has body damage as well as interior damage, an auto body repair shop will always be your best bet, and here’s why. Auto body technicians have the skills to repair oil leaks, realign wheels and check on your engine. But they are also specifically trained in repairing body damage. Auto body repair centers don’t just inspect and replace parts. They take into account damage to the entire car and use a holistic approach to make sure the car looks exactly how it did before the collision, as well as running like it used to, too. This is a lot more work and a lot tougher job than just fixing the engine. And it is why you should always come to see an collision repair center or auto body repair shop before anyone else after an accident. If you need the expertise that only an auto body repair shop can offer, Chaney Collisions is here to help. Our expert staff are on-hand to give you a fair and accurate estimate and then get to repairing your car as only an auto body repair technician can. Give us a call today or get in touch using your online contact form. Always get a second opinion on auto body estimates How can an auto body shops can waive insurance deductibles?